Hi guys! 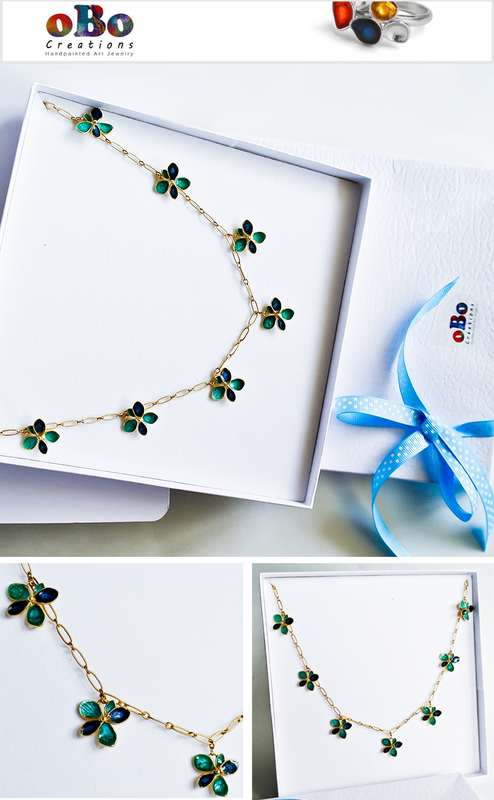 Today I have the utmost pleasure of sharing with you my review of OBO Creations enamel necklace. 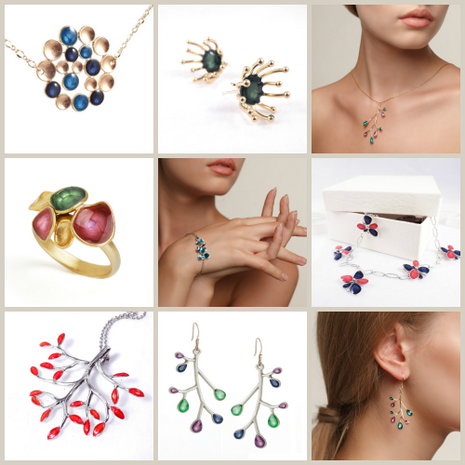 OBO Creations is an Etsy store located in Geneva, Switzerland and their jewelry pieces are not only breathtakingly gorgeous and colorful, but most importantly hand-made and created with incredible attention to detail! I was beyond blown away by the necklace I received for this review and couldn't wait to post about it! - material: matte gold metal with 16k high quality gold plating. 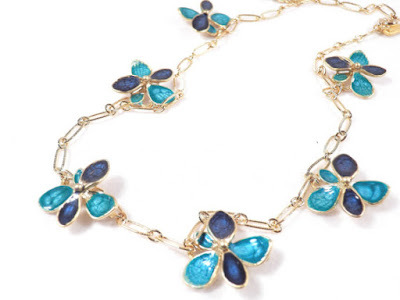 This hand-painted gold plated necklace is truly a piece of art. Olga, the founder and owner of oBo Creations, is definitely incredibly talented and her attention to detail is mind-blowing. The necklace is very unique, one-of-a-kind piece of jewelry that will make you stand out everywhere you go. The flowers are gorgeous! 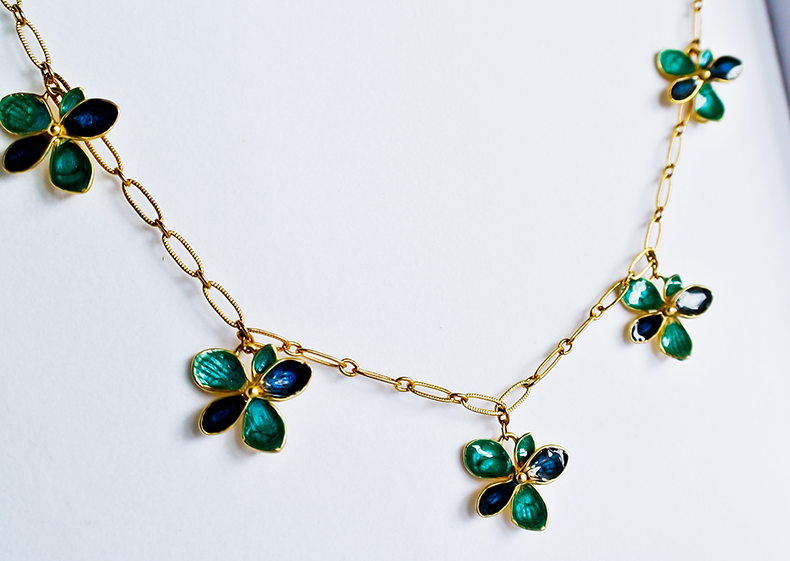 With light green and royal blue petals that are sculptured to catch and reflect the light creating a gradient of color, they are beyond beautiful and mesmerizing. The texture of each petal is unique, no two petals are the same. 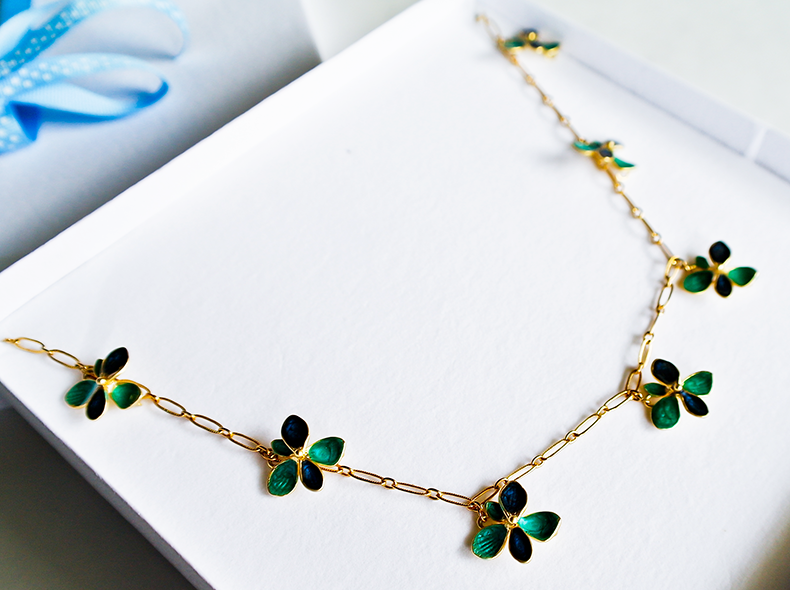 The chain has a deep gold color that works really nice with the flowers. The length is adjustable and it comes with a lobster clasp that seems pretty sturdy. I like the texture of the chain - it's not completely smooth, there are small ridges throughout that match the overall design really well. This necklace is part of Olga's nature inspired collection - in her Etsy store you will be able to find many more stunning and eye-popping pieces in a variety of shapes and colors. They're all eye-candies, incredibly colorful, vivid and fashionable. I highly recommend checking out her creations - you won't be able to resist them! oBo Creations is a small creative enterprise run by Olya B. 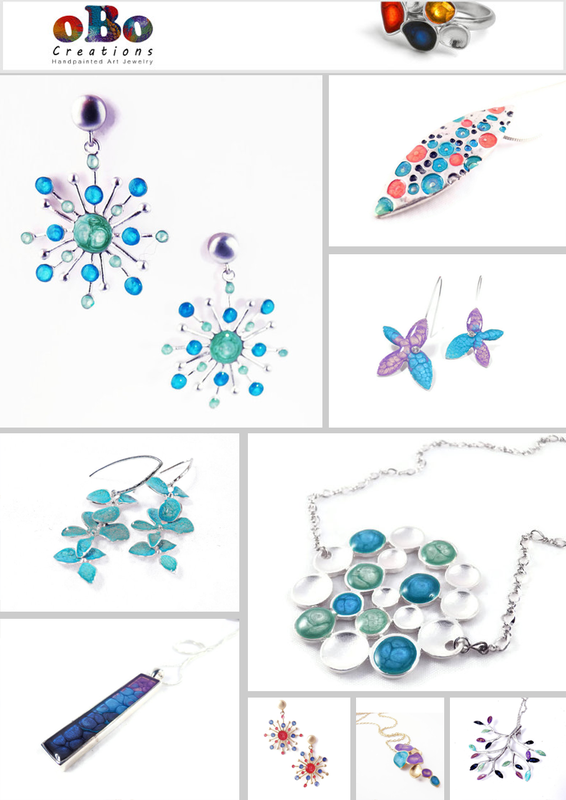 - a self-taught designer making vibrant art jewelry. oBo's signature style is bright colors, delicate designs and things that are unique and not mass market. oBo creates for those who look for being special, like to discover and be different. 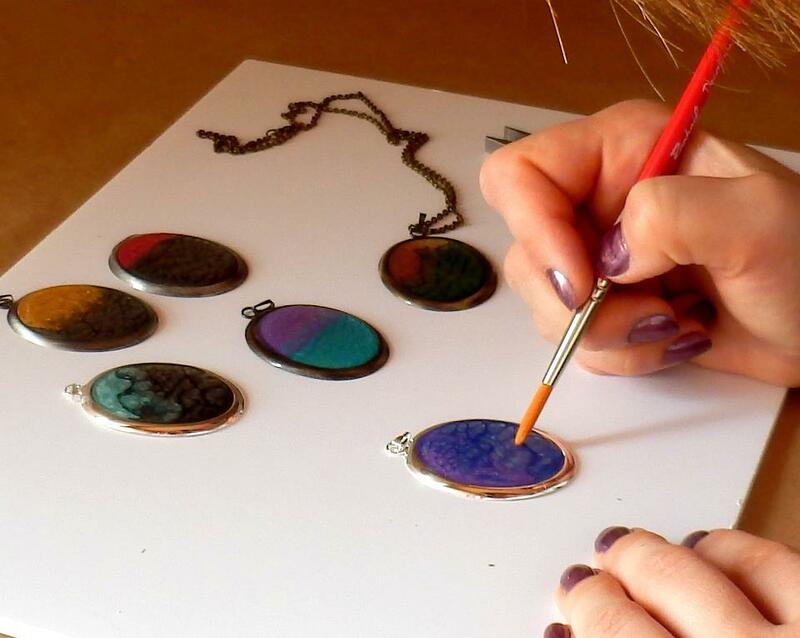 Every piece of jewelry is handpainted in oBo's workshop in Geneva, Switzerland. Olya uses special technique that looks somewhat similar to glass or enamel yet in fact is quite differrent. It is based on using particular paint that creates deep color and and effect of volume in each piece of jewelry. This 3-dimensional depth is further increased by a thick doming layer of glaze applied on top ot the paint. All jewelry is gold or silver plated, earrings use hypoallergenic posts or hooks. They ship worldwide and welcome wholesale.